Apple has finally brought its famed subsidy model to India and it looks very delicious. In alliance with Reliance Communications, Apple iPhone 5s and 5c can be bought without paying any upfront price with a contract of 2 years with Reliance. The monthly price of the bill that has to be paid is between Rs. 2500 and Rs. 3000 and this includes unlimited calls, sms and 3G data plan. The plan itself is good and for someone who uses the phone for a lot of calls and has a bill of around Rs. 3000 anyways will find it extremely lucrative. You are basically getting the phone for free. Until now, Apple was not able to get the operators onboard with this plan as they feared that people will simply buy the phone and get it unlocked. This way, the operator doesn’t get any benefits. However, Reliance has broken the mold and we will see if this goes in their favor or not. The scheme also lowers the price of higher end models with 32 GB model at an upfront fee of Rs. 11000 and around Rs. 20000 for 64 GB model. It is of note that the actual unlocked price of iPhone 5c and 5s (16 Gb) is around Rs. 42000 and Rs. 53500. Comparing this to Reliance’s offer suddenly makes the offer perfect. What’s the Catch? Yeah…there may be.. The first one is Reliance itself. As much as people would love an iPhone, they would prefer better service and Reliance has not been the epitome of it exactly. Leaving Airtel for Reliance is not something many would want to do and this might be a hindrance in adoption of the phone. Second is prepaid vs. postpaid connection. India is a land of prepaid connections. It is very unlikely that the overwhelming majority of people having prepaid sims would want to shift to postpaid suddenly. It is of course possible but would take a huge shift in mindset and only time can tell whether it will happen on ground. The third is more of an economic factor. One can buy the phone on EMI scheme as well and a two year EMI will cost around the same as the monthly bill. So, if someone has not a large bill coming through right now would it not be beneficial for him/her to buy it on EMI then and use the carrier that one is already having. It is a simple economic game but one which Indians will consider. One more thing that I feel is that Apple is a little late here. Android phones are available at all price range and while in US, Apple was the first and thus people who wanted a smartphone had to make that sacrifice. In India, people have a similar level of experience and Apple is not a novelty anymore. Thus it seems unlikely that people will change to postpaid so easily. I may be wrong obviously and by next month every one might have an Apple iPhone in their hand but I still feel that while it will have a definitely impact, it might not be the same as Apple had in US. One thing is for sure though, other carriers like Airtel or Aircel will be closely watching this step and we might see the same from them as well. In any case, I guess it’s time to calculate the monthly bills and see if the phone should be bought. 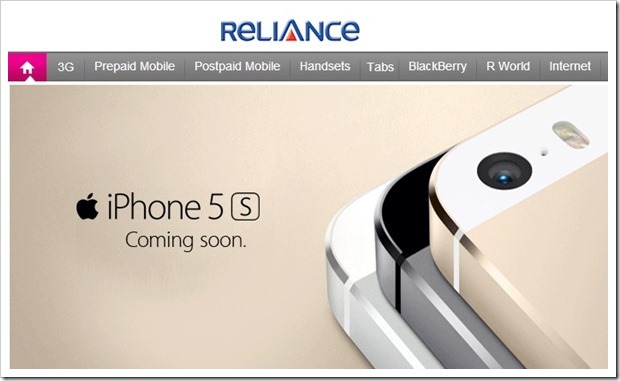 "Reliance Offers iPhone 5S And 5C For Free (Under Contract)", 5 out of 5 based on 1 ratings. The lesser said about Airtel, the better. I can use my phone with airtel postpaid only at two spots in my home. My wife’s vodafone works all over. Its the beginning of end of airtel and i feel very sorry that Mr. Mittal’s awesome journey is ending this way. I have used Airtel and reliance both. Worthless to say that none of them gave a value (of a single coin even). After buying the SIM first thing I do is block unwanted Call DND( silly stupid marketing). Any Telecommunication company never can gave a BEST service as Skype do. In India I just put my Airtel sim in my phone and I never want (or try) to use it. Skype do everything better. Better to boycut those indian company who never have quality in their service. @Anirudha: I will be honest when I say that I have only sporadically used an international sim so my reference point is only the Indian companies. Out of them, my experience with Airtel has been quite good (barring the marketing thing). As for Skype, it is only as good as the internet connection one has and that brings back to the telecommunication companies. We do not have Wifi everywhere after all..